After the past few years of zig zagging around the globe racing BMX with no real break, the worlds top Elite BMX racers were excited to hear that the start of the USA BMX Elite BMX Pro Tour first date would be March 2nd. With much anticipation, the Worlds best riders converged to Phoenix Arizona last weekend to kick things off for the 2013 season. Connor Fields was looking towards the start of the USA BMX tour, as this would be his first full season of focusing on the USA BMX tour. In 2012, Connor was able to race a select few races before the Olympics, with that being his main focus. 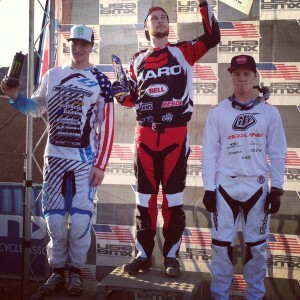 After the games, he went to every stop of the USA BMX tour, landing on the Podium at each event. Connor wound up 3rd overall in the series with the minimal amount of scores needed for the overall title chase, so he is excited for 2013, with plans on attending the entire USA BMX Elite schedule. Things kicked off on Saturday with for the Elite riders with such a great atmosphere of the USA BMX event: It was one of the largest races in years, the Black Mountain track is one of the best race tracks in the world for traditional BMX racing and somehow it seems faster and better each season, the picture perfect weather for the 1st outdoor race of the year was welcomed by many whom traveled from the cold and snow, and Connor was ready to show his new Chase RSP 1.0 Team Blue frame and National Champion Jerseys to the fans, and get the season started. Connor did not let his fans down, as he was out front all day on Saturday, battling it out with 45 of the World best BMX Pro riders and making it to the main event. USA BMX has gone to a 3 lap Main event system for the non UCI races, giving the Elite riders plenty of track time and the fans just seem to love that format. When the gate fell for the first 2 main events, Connor was powering his way around the track in 2nd both times, behind Haro Pro Nic Long. Going into the 3rd main, Connor would have to win and Nic finish up 3rd for Connor to have a shot at the overall win. Connor took the hole shot and would lead most of the track, but would have to try and fight off a huge surge from Sam Willoughby towards the end of the lap. Sam would get around Connor, with Nic just behind him, leaving Connor with a 2nd overall for the day and Nic Long the win. On Sunday, once again, Connor would be one the fastest riders out on the track, taking wins in most of his qualifying rounds, and transferring into the main event once again. Connor would once again fight it out all 3 main events with Nic and Sam, but this time, Connor would finish up 3rd overall for the day, ending up a great weekend for the Chase BMX Pro rider. Connor wrapped up a great season opener with 2 podium race finishes. 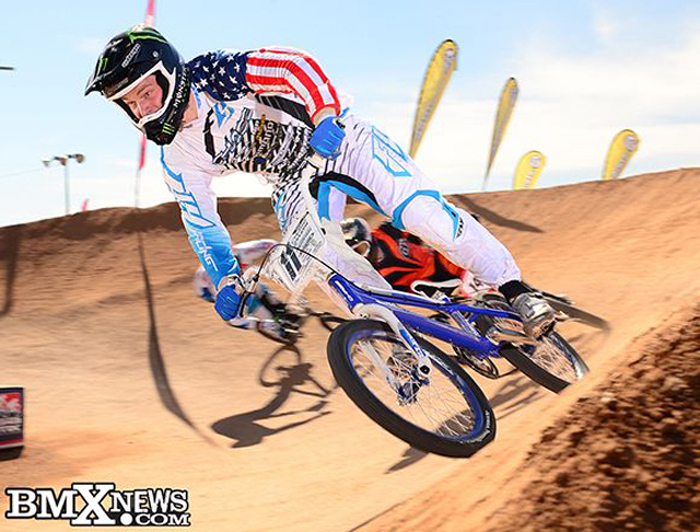 Connor now looks forward to the next event this upcoming weekend in Oldsmar, Florida where he will look once again to finish up the race day atop the USA BMX podium.